John Barrish is a skilled administrator with a proven expertise to create, manage, and grow a successful manufacturing company. 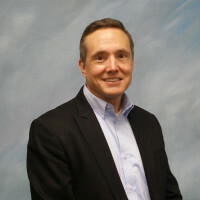 John joined Maradyne Corporation in 1999 to oversee all product lines and employees. John received his Master’s Degree in Business Administration, from Cleveland State University in Cleveland Ohio. He has been recognized at Maradyne Corporation for introducing and implementing lean manufacturing principles and practices to the company. John is striving to grow Maradyne both organically and through acquisition. Determined and focused on creating an enjoyable yet professional work environment to retain and recruit the industries top talent. John spends his time outside of work playing tennis, golfing, gardening, and cooking. John is also a big Cleveland Sports fan and enjoys watching ESPN. If you need sport updates John will most likely have it.